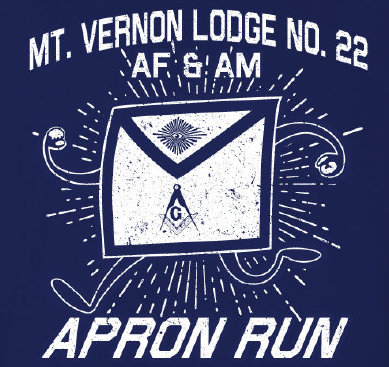 Come out for the 2nd Annual Mount Vernon Lodge Apron Run 5K in Winterville, GA. The course is on paved streets and is fairly flat. Proceeds benefit the Masonic Childrens Home of Georgia. Awards: The 5K overall male and female winner, master’s male and female winner, and first three finishers, male and female, in age groups of 5 year increments will receive awards. Shirts and Goodies: Shirts are guaranteed to those who register by 8/15/18. Those registering after that date and on race day are not guaranteed a shirt or size. There will be plenty of refreshments. More Info: In case of rain, the race will go on. Delay of the start may happen in case of severe weather in the area at race time. If severe weather continues, then the race director or local authorities may make the call to cancel the race at that time. Sorry, no refunds.